Welcome to the residents section of the Bon Secours Care Village. 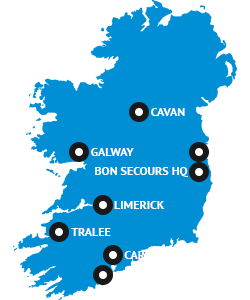 Private Nursing Home Resident information for the Bon Secours, Care Village Cork. Send a message to a patient - simply fill in a short form and we will print the message and pass it on.